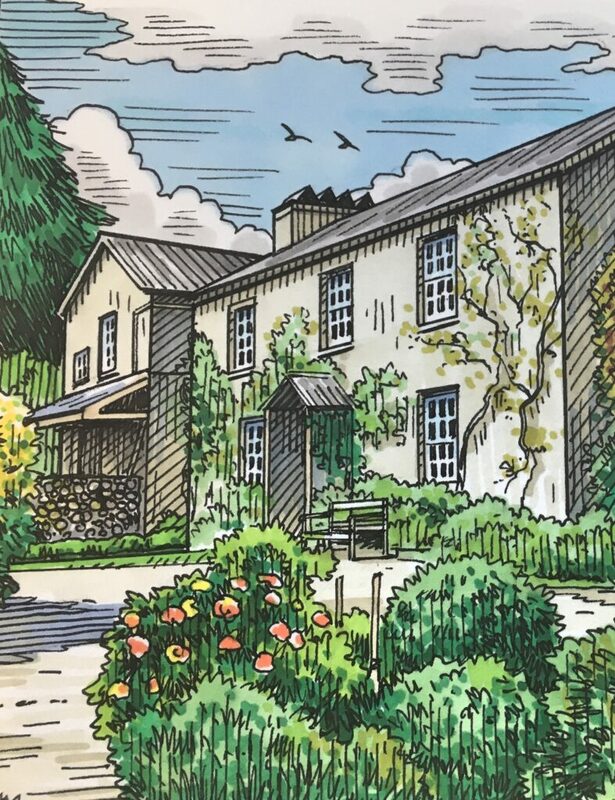 Geoff has kindly given us permission to use his artwork for our Spring Newsletter cover. It is a detail from one of his jigsaw designs. The following properties have received donations from WNTA in the financial year ended 31st August 2018. 52 drawings by Dante Gabriel Rossetti from his early career have been acquired by the National Trust. More than 20 of these pictures will be on display to the public for the first time, in a new exhibition in the Daisy Room which will explore the young Rossetti before he helped to establish the Pre-Raphaelite Brotherhood, his interest in literature and his developing style. The exhibition is being funded from a legacy left to the National Trust from Rossetti scholar Virginia Surtees. 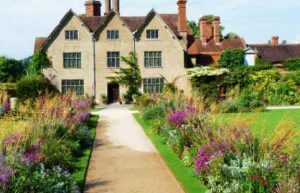 During February, Packwood House has been organising ‘package’ tours which include breakfast and a guided tour of the house. They have proved to be very popular and we were lucky to book the last two places on the Monday of our choice. By then all of the tours were sold out. After an excellent and very filling breakfast we were escorted to the house by Emily and Will who are both working on the conservation of the building and its contents. Their knowledge of the house is extensive and they imparted this knowledge clearly and in an interesting way. By limiting the group size, they were able to show us previously unseen parts of the house such as the attic and roof spaces, in which a ‘confusion’ of timbers demonstrated how many changes there had been through the years. Packwood was originally built in the 16th century for the Fetherston family. In the 1920s and 1930s Graham Baron Ash extensively remodelled the house in the Tudor style, adding rooms, converting the barn into the Great Hall and adding a Long Gallery. 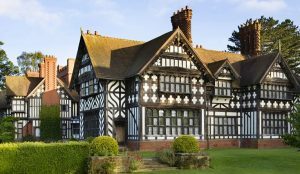 He bought fittings and furniture from other Tudor properties and left detailed instructions about how they should be arranged even after he left the house to the National Trust in 1941. On one of the coldest days of the year, Packwood House felt warm and welcoming. Irene and I would like to thank the President, Cliff Hubbold, Chairman, Dr. Malcolm Taylor, members of the Management Committee and all members of Walsall National Trust Association for the unique honour of granting Honorary Life Membership to us. We have so many happy memories of all our involvement with the Association We joined the Association when it was formed in August 1985. Soon, Irene became involved with the Merchandise Counter originally headed by Eunice Perry and Joan Richardson. Eventually Irene took over the running of the Counter when Joan became President. I lent a hand in advertising. We both soon became members of the Management Committee holding office until we retired last year. Over the years, we have met and made friends with people from all walks of life and from many different backgrounds. It certainly gave us the opportunity to visit many National Trust and Private properties either by coach, car or on holidays that we would not otherwise have visited. The evening and afternoon talks were and are always very informative giving us information on a whole range of subjects. 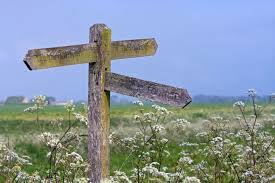 Also, the monthly walks and walkers’ holiday gives an added interest to many of our members. 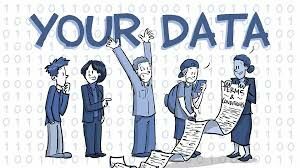 We are lucky to have those members who dedicate their time in arranging all these activities. We would like to thank them all for the help they gave us during our time of editorship. Our very best wishes to all members of the Association. 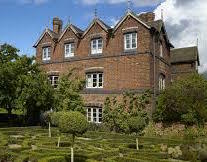 Long may it continue to prosper..
Walsall National Trust Association has ensured that an exciting new project at Wightwick Manor has gone ahead by donating £12 000 to the house. The old Malthouse has been converted into a gallery. This gallery will enable them to display works of art from nationally important collections across the country. 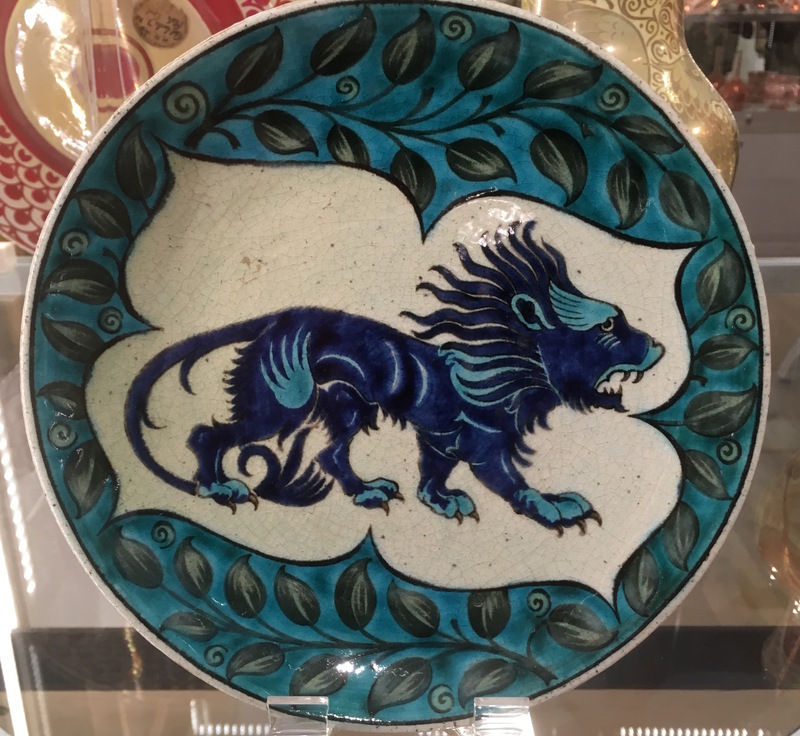 They are starting with a 10 year partnership with the De Morgan foundation to display ceramics by William De Morgan and paintings by his wife, Evelyn. The gallery is now open. Click on the image to read about the first impressive display. The total project cost is £120,000 but they have secured £110,000 from various charitable Trusts and £50,000 from the property’s own funds. WNTA has covered the final £10 000 and provided £2 000 to purchase 8 steamer chairs for the terrace, which was another item on the Trust’s ‘wish list’. The funds are part of a bequest from the estate of Miss Margaret Stanley, who was a member of our association until her death. Margaret’s gift will be properly acknowledged when the gallery is opened. Another property to benefit from Margaret Stanley’s legacy is Charlecote Park. The gateway into Places Meadow has deteriorated over the past few years and needs replacing. The donation of £4 500 from WNTA will enable the gateway to be restored to the same design as the original. Places Meadow overlooks the River Avon as it flows through Charlecote Park. Paul Smith, the Park and Garden manager, describes it as pretty, peaceful and productive. Following wildflower planting in 2015, it was featured on BBC’s popular programme, Country File. At various times of the year, a fine herd of Jacob sheep can be seen grazing in the meadow.